I’m down in Wales for Paul’s 50th, which was a surprise party at the Bridgend Inn in Brynmawr he looked very surprised I’m impressed that Ceri managed to organise and keep it a secret from him! Was good to see people I hadn’t seen for many years! And some new people as well, I have always liked parties. I did have to crash out early as I needed enough brain to drive home, but I wasn’t the first to go! 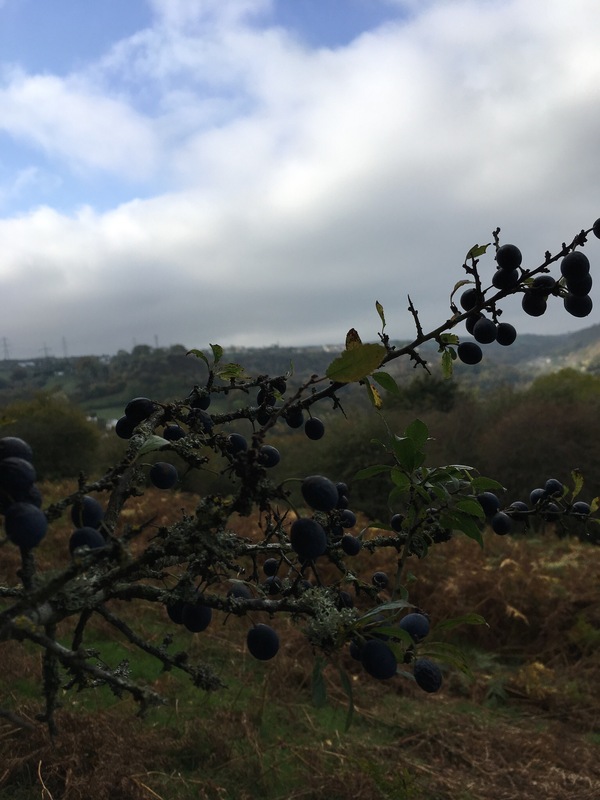 I have also been picking Sloes to make homemade Sloe Gin which I was chatting to Hannah and others, about last night. With Dad which was nice also chatting as you do about cakes and WI! Previous Previous post: Bits and Bobs!